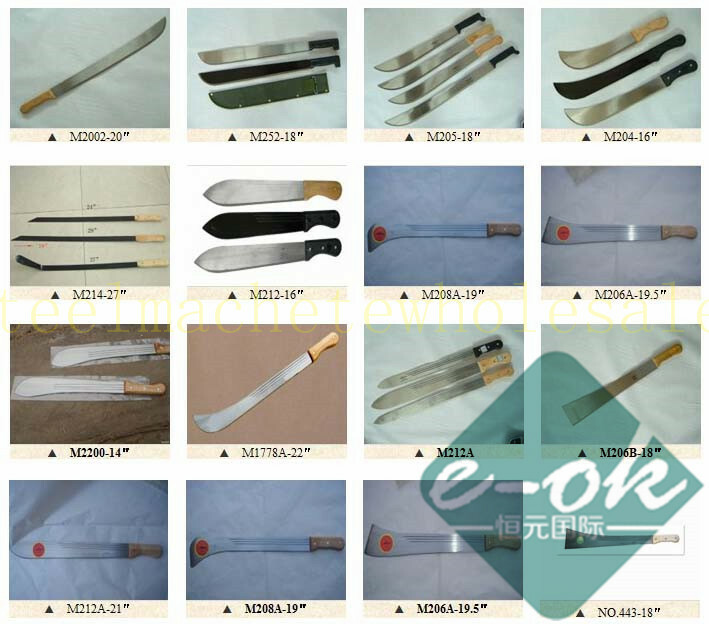 Upon 17 years experiences to supply steel machete knife to West Africa Market, we can wholesale many different styles and shape of our machete knife for West Africa Market, including stainless machete, corn machete knife, sugarcane machete knife, grass machete knife, short machete, long machete, short knife, long handle machete. The machete knife should be with plastic handle or wooden handle. 1: East Africa Design Machete Knife. 2: Southeast Asia Design machete knife.